Another beer festival? Yes, please. 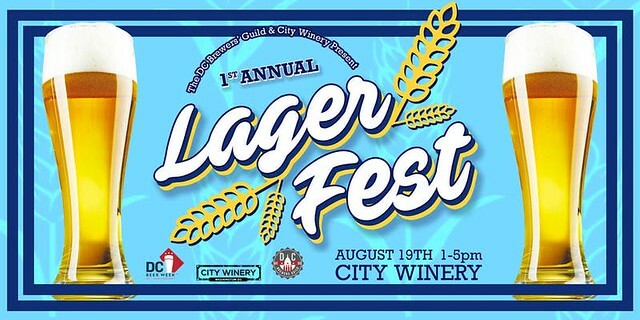 The DC Brewers’ Guild and City Winery will start DC Beer Week with a sweet sounding beer festival. It will showcase the best lagers from 30 breweries, with some live music to keep you entertained. Second, we like beer here at A DC Journey, so any beer festival is welcome. And who doesn’t love summer beers like lagers and pilsners on a hot day? This will be the first edition, let’s hope it becomes a tradition. Finally, you’ll find a lot of local breweries like Atlas Brew Works (just around the corner – get a beer after! ), DC Brau and Right Proper, among others. Tickets are $40. From 1-5pm on August 19th.